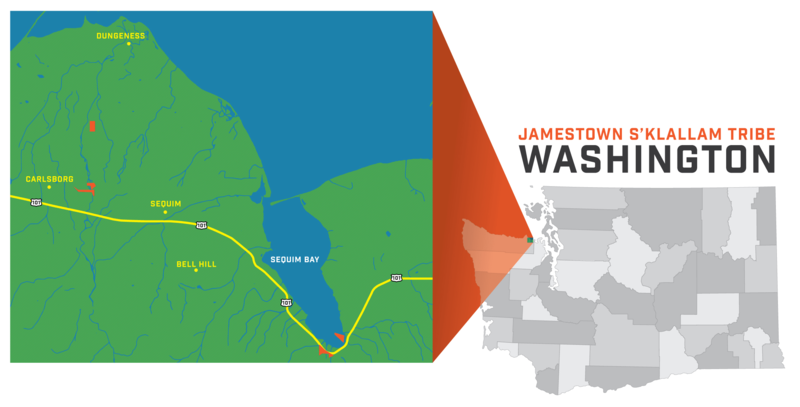 The Jamestown S’Klallam Tribe is headquartered in Sequim, Washington and has a jurisdiction covering over 1,100 acres. The tribe has a current enrollment of approximately 600 members and is governed by a democratically elected tribal council. The constitution of the Jamestown S’Klallam Tribe establishes a representative tribal government governed by the democratically elected Tribal Council. The Tribal Council is the representative body of the tribe and comprises a chairman, vice-chairman, secretary, treasurer, and council member; all council officials serve staggered four-year terms. The Tribal Council enacts all laws and regulations for the tribe, represents the tribe in negotiations, and retains full authority over tribal enterprises, finances, and property. All tribal citizens over 18 years old constitute the General Council. 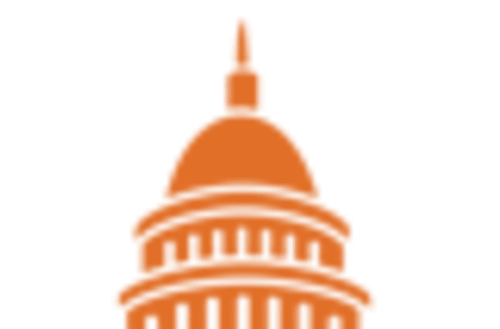 As the popular body of the tribe, the General Council has the powers of recall and referendum, decides on tribal initiatives, adopts or rejects constitutional amendments, and retains authority over all matters not expressly granted to the Tribal Council. As of 2011 the tribe continues to entrust its tribal judicial authority to the Northwest Intertribal Court System. The Jamestown S’Klallam Tribe Economic Development Authority (EDA) oversees certain tribal enterprises and JKT Development, Inc. affiliates. The EDA owns and operates businesses in excavation, commercial and residential construction, telecommunications, self-storage, and retail. JKT Gaming Inc. is a tribal corporation originally created in 1995 to operate the 7 Cedars Casino. The Company now includes the Cedars at Dungeness (the “Golf Course”) and The Longhouse Market & Deli (the “Market”). JKT Gaming, Inc. continues to build on its successes while positioning itself as a destination resort. Jamestown Excavating offers excavation and site preparation services to government, tribal, commercial, and residential clients, ranging from demolition, logging, land clearing, and road building to restoration, trucking/hauling, and underground utility installation. Jamestown Networks is a telecommunications company offering high-speed/high-capacity Internet, Ethernet wide area networks, local government networks, wireless technologies, and Voice over Internet Protocol telephone services. The S’Klallam Indians originate from the Pacific Northwest, occupying present-day Canada and the United States, and speak Klallam, a Coast Salish language. 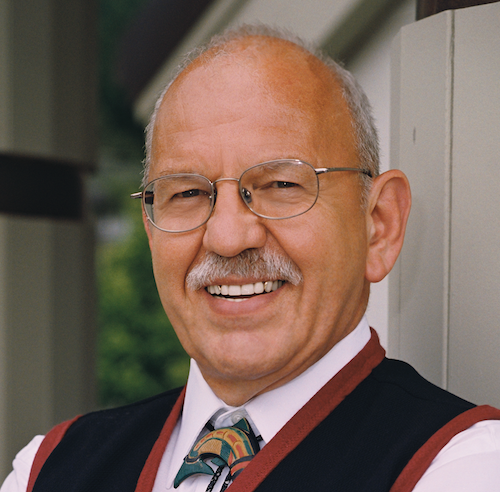 The S’Klallam people are closely related to the Sook First Nation of British Columbia and the tribes of Puget Sound. Similar to other tribes of the Pacific Northwest, the S’Klallam Indians first encountered Europeans in the late eighteenth century with the arrival of British and Spanish traders. With the establishment of the 49th parallel boundary in 1846 and related land claims resolved in favor of the United States, the tribes in Washington experienced unprecedented settler encroachments. To preserve their sovereign rights, a band of S’Klallam Indians purchased land near Dungeness, Washington and established an independent community. Lacking federal recognition, during the twentieth century the tribe found it increasingly difficult to preserve its sovereign rights. The Jamestown S’Klallam Tribe achieved federal recognition in 1981 and began the journey to rebuilding its economic and cultural resources. The tribe’s cultural preservation program has benefited from the discovery of thousands of pre-historic and historic artifacts and the repatriation of S’Klallam ancestral skeletons.